Dr. Gerald Imber shows women and men how to keep the signs of aging at bay with a prescriptive, common sense plan of skin care, exercise, vitamins & diet, stalling & often eliminating the need for surgery. By following the earliest & most basic treatment for skin care & maintenance, you can maintain a youthful appearance for a lifetime. 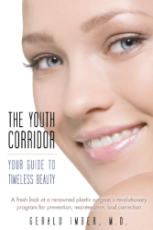 You can return your skin to the exuberance of the youth corridor -- the years between 30 & 55 during which the most drastic physical changes occur. Imberâ€™s easy-to-follow regimes & helpful illustrations make timeless beauty a reality. This book also catalogs beauty products that give women the best results & describes successful procedures in plastic surgery.